2013 was the year of top three favorites. 3. While NYC coffee culture has to catch up to Seattle's, we managed to find our favorite cappuccino at Sullivan St. Bakery. Many artisanal coffees this year, to me, tasted like steel. I hear it might be a sign of a stroke when food tastes like steel. I hope I was not having an episode and it was all the coffee's fault. Jonathan did like the coffees at Sullivan's and 3 Cats. He wasn't there with me in Seattle. As a side note, Jonathan much prefers Dunkin' Donuts coffee over Starbucks. I don't. How could I, now that I visited the 1st Starbuck's ever in Seattle?! 2. Pillowy vanilla bean (which is the regular glazed donut) at the Doughnut Plant, NYC. Somehow I have my 2013 favorites grouped in threes. Three towns. Three cups of coffee. Three donuts. It just happened organically. When S got back from college a week ago, after bouncing around Boston and NYC with a friend of his visiting from overseas, my life was complete. I get an extra bounce in my step when he is around. 3. My side kick Wizard, or as you know him as Wiz or Wizzy. I even call him by some female latin names, from time to time, which he never responds to. S faults me for always wishing to have a baby girl which might explain the latin female names. Come to think of it, Wizzy never responds to Hebrew either. This pooch ain't bilingual. He is a pill but I love him. For over four years now, I had some say to me, geez I thought you named your kid Sage or Sa-gee (hard g like in George) and I wondered why would you do that?! Then they heard the correct way of pronunciation which made them less critical. lol. lol. It's all in good fun, though. Since I just discovered emoji and like a little kid I will emoji-you-out in 2014. I thought a talking emoji would be befitting to illustrate how the name Sagie sounds like. This is emojified voice here. Happy New Year everyone. Wishing you the best in 2014 my friends. Awww...so neat that Portland, ME. made the list. I haven't been there in so long. Yep, Johanna, surprisingly so. 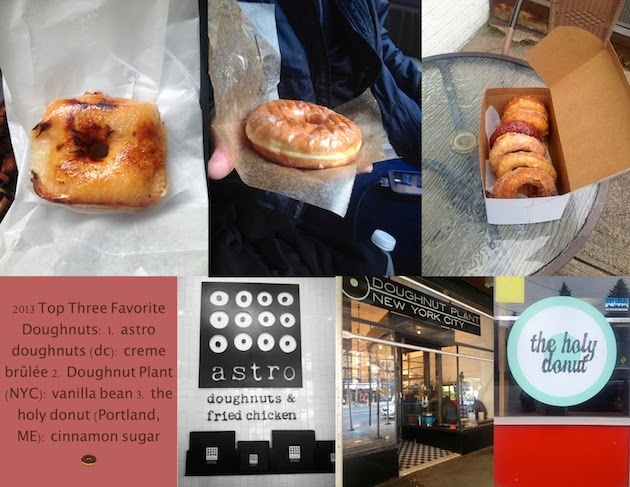 I never thought Portland was such a food destination but happy to discover that it is. Many wishes for a fantastic 2014, Terra. Hugs. Happy New Year and looking forward to reading you in 2014! So many great places and foods. My mouth is watering! Have a great 2014!